Are your invitations feeling a little uninspired? Put a bow on it! Got a boring old box just begging to be beautiful? Put a bow on it! Think a little bow can't have a major impact? Think again. 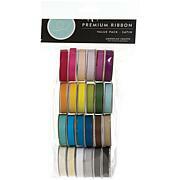 Glue or tape one of these sweet little embellishments to just about any craft project and watch it come alive. The perfect bows right at your fingertips. 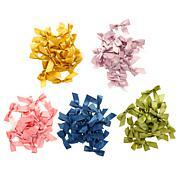 The colors are vivid and the quality of the ribbon is superb. Good year round, not just for Christmas. 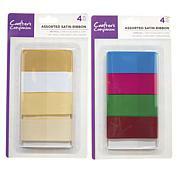 Great for Valentines Day, anything patriotic, Saint Patricks Day, Spring cards..... A staple item for any card maker. I love Anna's cards and I make many. These bows just add the perfect little touch sometimes. They are very well made. Best ever, it takes me so long to hand make a perfect bow. These are great. 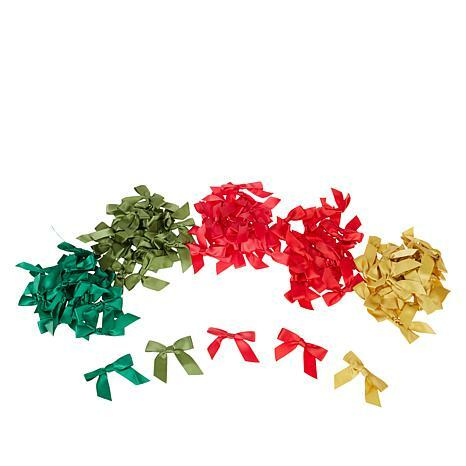 I thought these would be tiny bows but they're the perfect size for cards and scrapbooking! Quality!